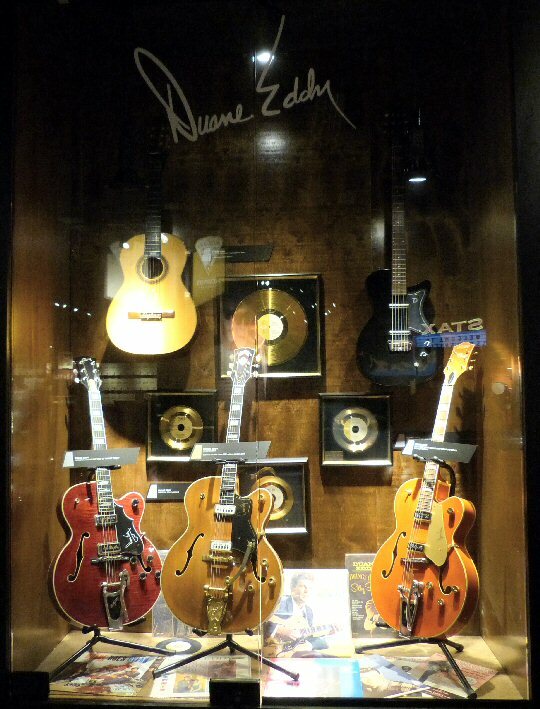 The Musicians Hall of Fame Museum located at 401 Gay Street in Nashville, Tennessee honors all musicians and their instruments. The Musicians Hall of Fame Museum is located in the Capital of Country but it focuses on all genres with exhibits that span the history of American recorded music. In addition, lesser known sidemen are also given the spotlight in this unique collection. The Museum is open to the public Monday through Saturday (10-5) and is also available for private parties. The Musicians Hall of Fame celebrates the Class of 2014. SoundPress.net had the pleasure of visiting the Musicians Hall of Fame Museum on May 27, 2015. The tour started with a short film that informed us that at one time this space was a hub for concerts prior to the Bridgestone Arena coming to town, thus this structure like many in Nashville has a rich story to tell. The museum is divided into a number of sections devoted to eras in music intermingled with displays that focuses on the artists and their gear. 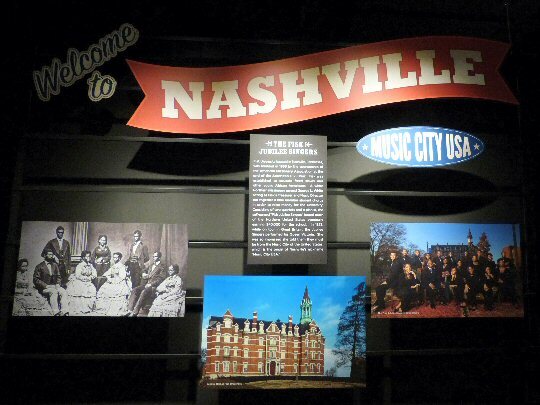 One of the first exhibits we encountered honored the Grand Ole Opry. It was a strong reminder that the Opry operation based out of Nashville has launched lots of careers and has employed many behind the scenes personnel. Around another corner one encounters a wall of BMI awards for songwriter Billy Sherrill who also blessed the music industry with hits and jobs. Welcome to Nashville – Music City U.S.A.! The Musicians Hall of Fame pays tribute to the A Team (1950’s-1970’s) a group of players who performed on over 80% of the records coming out of Nashville. This talented group of guys were booked for blocks of time then they would consistently delivered the musical goods. A Teamer Buddy Harman drummed at over 15,000 sessions for a long list of artists such as Patsy Cline, Jerry Lee Lewis, Reba McEntire and Larry Petree. The Wrecking Crew were another group of in-demand players who helped shaped the sounds coming out of Los Angeles. On the walls are 45s mixed in with gear, information and instruments. Producers also have a place at the Musicians Hall of Fame. Ben Keith who is also a pedal steel guitarist has a prominent display. His career includes playing steel for Neil Young since the Harvest album days (1971). Ben also produced Jewel’s first album released in 1995, which allowed him to take an extended vacation. The console that was used for all of Garth Brook’s records is also on site. We found out that Charlie Daniels was a session guy who worked for Bob Dylan at one time before breaking out on his own. In another case are the rose colored glasses that Roy Orbison wore on the cover of Rolling Stone magazine. Nearby is the 1961 ES-335 Gibson guitar played by Jerry Kennedy on “Pretty Woman”. Orbison’s guitar, passport and shoes are also on display. There is a wall of gold and platinum records. We found it interesting that some included albums, cassette tapes and CDs showing the evolution of how music is distributed. One of the many quality displays found inside the historic Auditorium. The museum had sections dedicated to musical locations such as California and Muscle Shoals. Stax and Memphis’ Sun Records paired with Johnny Cash are also remembered here at the Musicians Hall of Fame. We spotted Don Felder’s Stratocaster – the one that he owned during the Hotel California tour and a sitar that belonged to Ravi Shankar. Around another bend was the bass of Garry Tallent of the E Street Band. The Musicians Hall of Fame has a diverse interesting collection of artifacts, information, instruments and more that spans the history of recorded music. The Musicians Hall of Fame is located in the vicinity of the Tennessee State Capital – for many a walkable distance from the clubs and stores in The District. 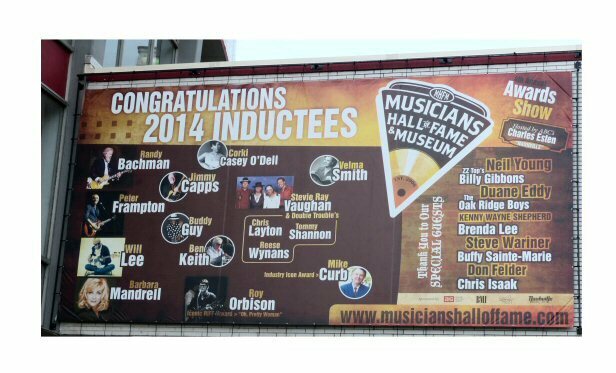 The Musicians Hall of Fame features a good mix of well-known artists along with the behind the scenes session players from country to rock. 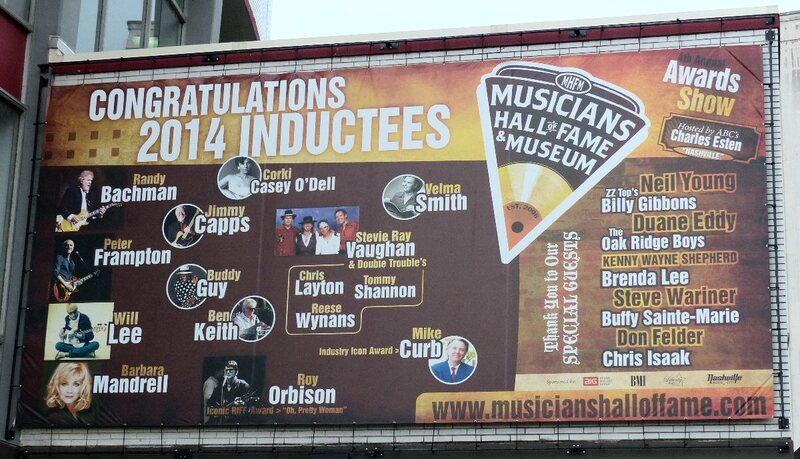 The Musicians Hall of Fame & Museum is another worthwhile landmark in the legendary Music City. 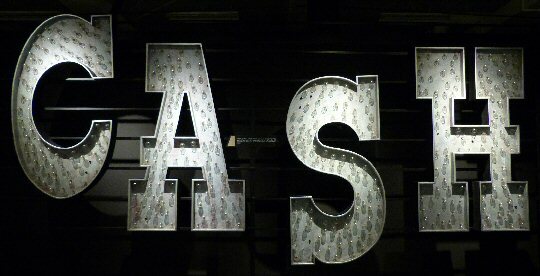 A prop from the Johnny Cash television show on display in Nashville.